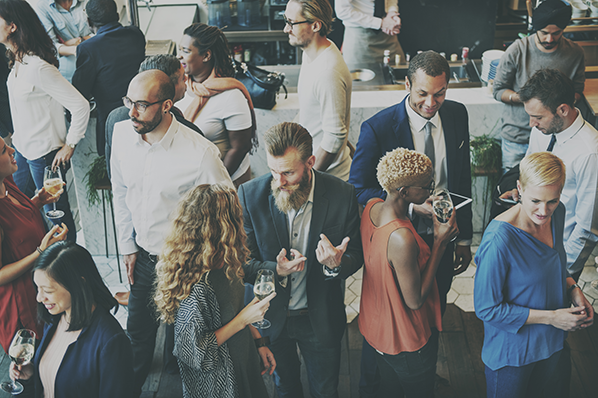 According to a recent HubSpot and Eventbrite survey of event organizers and attendees, 84% of respondents feel that attending events is an important part of their job, with 79% going to events specifically to learn something. However, over a third of those people are being left disappointed with the events they are invited to. It seems that many event organizers don't take into account who would actually benefit from attending their event (47% of event organizers do not have a well-defined buyer persona for each event), or what the goals are of those people, before wasting all their resources on untargeted marketing. 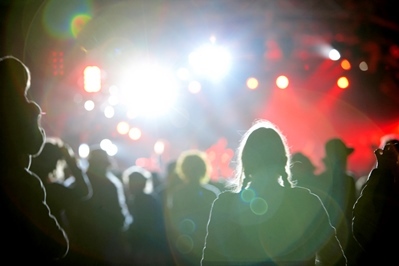 As a result, 51% of event organizers have not been able to increase their attendance numbers. 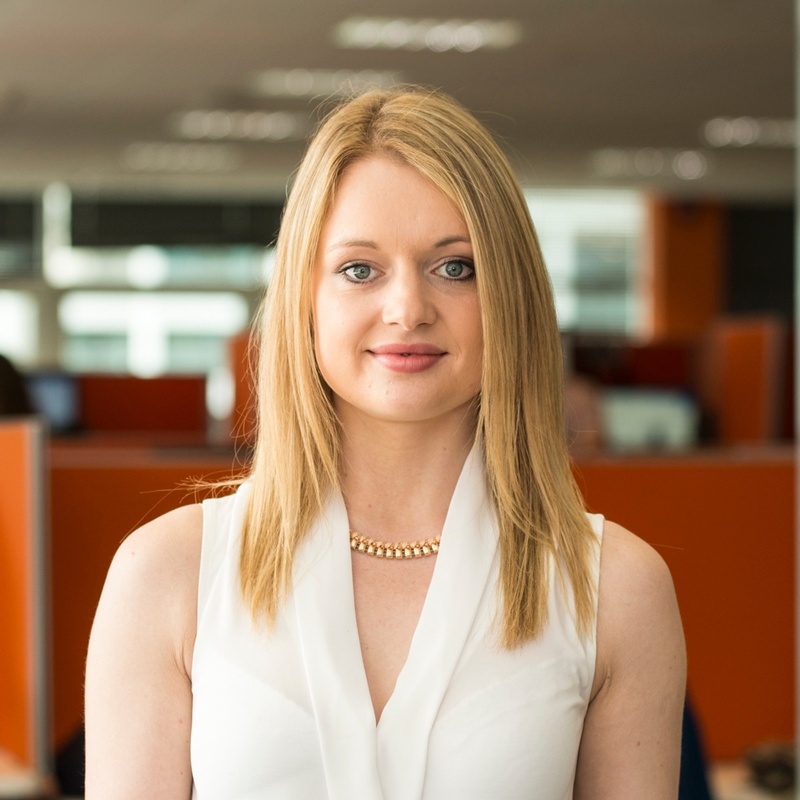 After our research, we put together some tips to save your event from a similar fate. Once you've finished with these, you'll be able to target the right people to your event, promote it with great content, and create a highly optimized sign-up page to drive more registrations. When you begin to plan out the content that will promote your event, you need to get inside the mind of your attendee persona. What are their key challenges? What do they want to learn more about, and how do they like to consume content? (If you haven't created your persona yet, download our template here.) Once you've answered those questions, you can begin to sit down and create your content. A press release announcing your event and what your attendees will learn at it. You should announce who your speakers are and describe the value that your persona will get from attending. 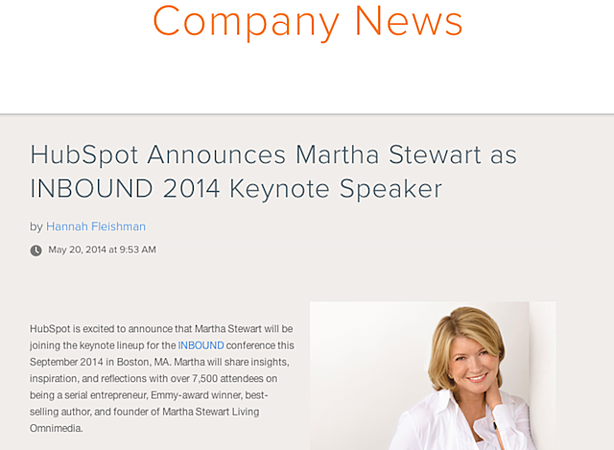 Click on the image below to see a HubSpot example, where we announce one of the speakers who will be presenting at INBOUND 2014. It also includes an awesome infographic -- of course, we have templates for that, too! Video marketing presents several opportunities for promoting your event, too. Use snippets from the previous year, compile them into a ‘Highlights from last year’ video, and embed it on your event website or upload it to YouTube. You can also interview your speakers and get them to give a preview of their presentation, and embed the videos on your website or upload them to YouTube. 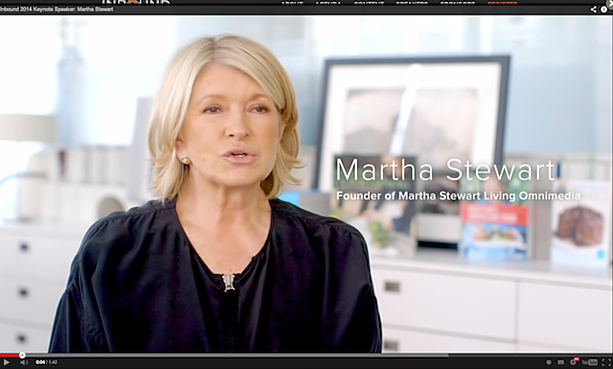 Click on the image below to see an example of a video HubSpot has done with our INBOUND presenter, Martha Stewart. Create striking images to use in social media that will grab attention and direct people to the event website. 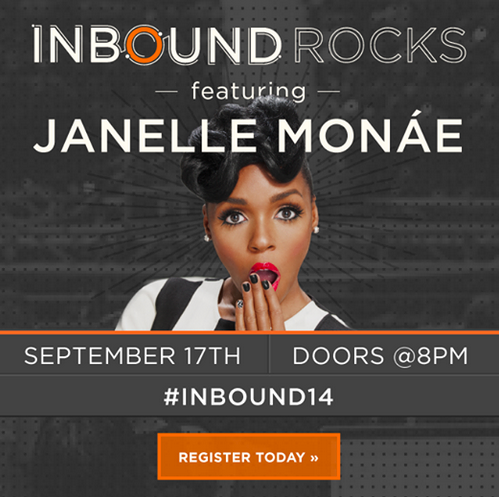 The image below is an example of one we created to post on our Facebook page promoting INBOUND 14. You don't need great design skills to create visual content, either. You can download our visual content creation templates to help with this. Write blog articles that talk to the challenges your persona faces and offer solutions. You can then drive your audience to the event signup page by adding a CTA (call-to-action) to your event throughout those articles. By creating the content assets mentioned above, you're going to get the right people finding your event -- but you shouldn't stop there. You should spend as much time promoting your content as you did creating it. Social is much more effective when you use images, so as mentioned above, you should create striking images to use on networks like Facebook, Twitter, LinkedIn, and Pinterest, instead of just posting a link to your signup page accompanied by a generic message. The more people you can get engaging with your posts the better, so try and think of ways to personalize the content. For instance, you might @mention your presenters and customize each tweet to talk about their presentation. Email still works when done right. If you know who your persona is and you have tailored your event to meet their needs, solve their challenges, or just give them a good learning experience, they will be happy to see your email and click through to your landing page. Your email needs to be optimized for clickthroughs and social sharing, too. You need to make it abundantly clear what action you want the recipient to take. Your subject line should also be catchy but relevant. Emails are actually really tricky to get right and deserve a post all unto its own -- so here's one if you're interested. 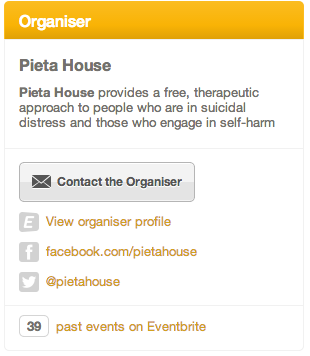 Add CTAs leading people to your event page in as many places as makes sense and won't annoy people. Some examples include: at the end of relevant blog posts, in your email signature, on multiple pages on your website, at the end of your videos, in the description of your videos, and placed strategically throughout every piece of content you create to promote the event. Make sure you also create tracking URLs for each channel you post a CTA on so you can track where the most traffic came from -- then, you can spend more resources on those places in future. Reaching out to influential people in relevant industries is a really good way to get your event in front of the right people. Put together a really compelling outreach email -- or tweet/InMail if you don't have an email -- and let them know why you think they are awesome, as well as what they will get in return for sharing your event with their followers. You could offer them a free VIP ticket to your event or a speaking slot the following year. If you have the budget, paid distribution is a really good idea for getting in front of a really targeted audience. Here's a pretty detailed post from our friend Simon Penson on why paid distribution is more and more relevant, as well as his tips for the various networks. It’s important to make your event page stand out by adding striking images and great design. Click here for 13 examples of awesome event pages on Eventbrite.However, while graphics are certainly attractive, they can also increase the load time of your website -- so be sure they are small enough to load quickly. Don't cause visual clutter by adding too many images; keep things simple and make sure the images you use on your landing pages support the pathway to conversion. Your main CTA should really jump off the page -- you'll want people to clearly see where they should sign up, as well as how. 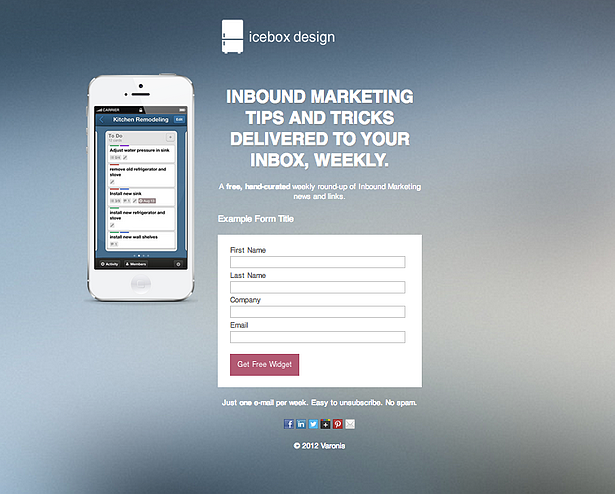 Here's a great example of effective use of contrasting colors that draws your eye to the conversion path. On your main event page, communicate the value to attendees as quickly and as clearly as possible. Use relevant headers, subheaders, and bold or italics for key points you want to emphasize. Bullet points are a good idea for listing the main benefits attendees will receive for attending. It’s better to overcommunicate any event information that could cause confusion by adding an event-specific FAQ on another tab so as not to clutter your main page. The FAQ page should include things like what to bring to the event, age restrictions, dress code, or parking information. Additionally, you can add information about what to do if the attendee loses the ticket or cannot print the ticket, if the attendee is allowed to transfer the ticket to someone else, will-call information, and so on. Here's an example of a good event FAQ page. The event registration process, along with any email communication, can be just as important to the attendee experience as the event itself. The order confirmation is the first line of communication that the attendee will receive from you as the event organizer. It’s important to make this order confirmation as descriptive and informative as possible, as it will stay as a reference in their email inbox where they can access it at any time. Tip: This is an excellent place to include event FAQs for the attendee to reference after they complete registration, too. If your event has multiple ticket types, we recommend making the title of each ticket as descriptive as possible. If you're running a multi-day event and setting up a ticket type for each day, it's best to include the dates and times within the ticket title itself. Updating a general admission ticket with the title of “General Admission: Seminar May 20, 8:00 AM - 10:00 AM,” for example, serves as a better reference. The title of the ticket will be displayed on the Order Confirmation and PDF ticket, so this information will always be available to the attendee. In addition, you can customize the ticket description. Here, you can put information about what each ticket includes, e.g. free drinks, upgraded seating, gift bag, etc..
For a more in-depth look at how to implement an inbound strategy to improve your event attendance and engagement, download our ebook The New Age of Event Marketing, which we have coauthored with Eventbrite.